Dr. Richard Forno is a Senior Lecturer in the UMBC Department of Computer Science and Electrical Engineering, where he directs the UMBC Graduate Cybersecurity Program, serves as the Assistant Director of UMBC's Center for Cybersecurity, and is an Affiliate of the Stanford Law School's Center for Internet and Society (CIS). 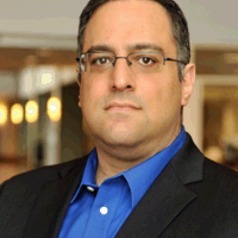 His twenty-year career in operational cybersecurity spans the government, military, and private sector, including helping build the first formal cybersecurity program for the US House of Representatives, serving as Chief Security Officer for Network Solutions (then, the global center of the internet DNS system), and co-founding the CyberMaryland conference. From 2005-2012 he was a Visiting Scientist at the Software Engineering Institute at Carnegie Mellon University where he served as a course instructor for the CERT Coordination Center (CERT/CC). As a technologist and student of national security studies, Richard has multiple interdisciplinary research and professional interests related to the influence of technology upon national security, individuals, and global society.